At the start of October I attended the Pedagoo Muckle in Glasgow. 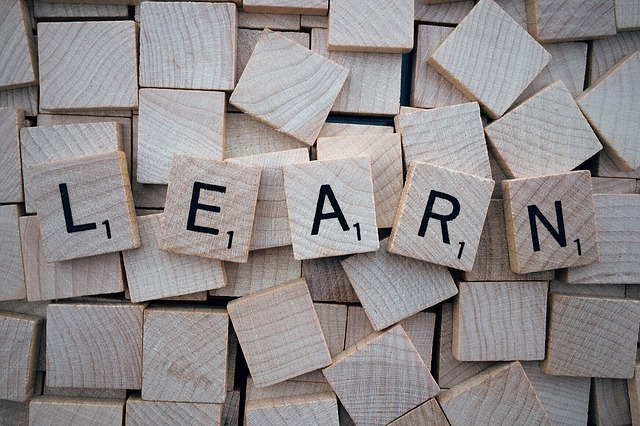 One of the learning conversations I took part in was led by Fearghal Kelly about “Unleashing Learners” which was about the pupils leading the learning of a unit of work – I was instantly intrigued! The thought of handing over a whole unit of work to a class to plan was a scary thought but I could see how great it could be. So, I took the plunge and selected one of my Higher Administration classes to be unleashed! 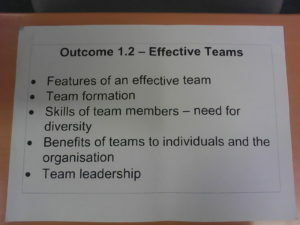 When we were ready to start a new topic, about effective teams (quite appropriate! ), we all sat around a table, just like a business meeting. I explained what we were going to do and they were interested in the idea that they could decide how the lessons would go. 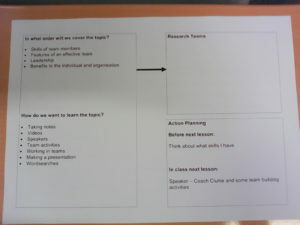 Each pupil was given some post-it notes to record their thoughts which were added to the planning sheet (see below). I first of all asked them what they already knew about the topic of “Teams” – they knew a reasonable amount already which was pleasing. I then asked what questions they had about the topic – this they found a lot tougher – and we spent quite a bit of time on that. They worried that their questions were too silly or irrelevant – no such thing I cried! Every day I now give them a random topic (eg bananas, abbreviations, etc) and they have to come up with one question they would like answered about it. We then looked at the Outcomes for the topic and looked to see where and if the questions fitted in with them, which coincidently most of them did. 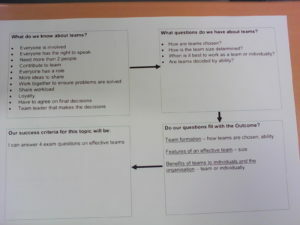 The class then decided that the success criteria for this topic would be the ability to successfully answer at least 4 past paper questions about effective teams. To reach this stage took about 40 minutes. The following period we then looked at the order we would like to look at the topic – not the order I would have picked, but they decided! I then asked them what kinds of activities would they like to do to cover the topics – they wanted to take notes, watch relevant videos, make a presentation, work in teams and have a speaker in. I was able to arrange for our Rugby Coach to come in and speak to them about working in a team, the skills involved and they did some team building activities. On this occasion we did not need any research teams. All in all, the planning took 2 periods – was it time well spent? Yes, it was, the pupils enjoyed telling me what they wanted to learn and how (after being suspicious of my motives, I was the teacher after all, was I not just going to tell them what to do). After one of the activities, a pupil said that they really like learning that way. Pupils are engaged in a topic they are finding interesting, they are displaying their own team skills and supporting each other. Will we be planning the next topic of the course this way – absolutely yes! This entry was posted in Pedagoo on December 6, 2016 by Sheena White.